We want to commend you for making this type of commitment not only to yourself, but to your community and the world around you. Your first hurdle was taking the Level 1 Teacher Training. Now that you have made those teachings fully your own, you are now ready for our Advanced Level 2 Teacher Training. You have the ability to be an inspiring leader in your community. This training offers the opportunity to discover greatness within yourself and open doors of possibilities to share skillfully and gracefully with others. Join us and a committed group of people striving to make positive change for themselves and for others as students and teachers. This is an opportunity to take your teaching to new heights. To truly teach from your love of yoga and share your enthusiasm with your students — they will leave your classes renewed and empowered. Expect to have an in-depth personal yoga experience at the training. The week will be a full immersion into yoga, giving you opportunities for personal growth and transformation. 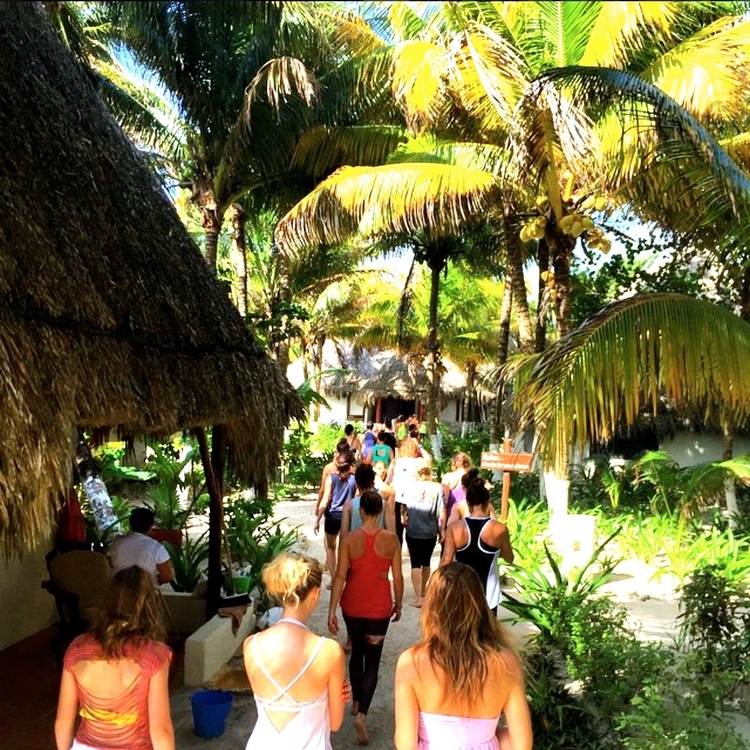 Each day will consist of meditation, strong asana, workshops, and group discussions. We will explore a multitude of techniques and skills to assist you in igniting your power within. The training will provide you a platform to share with us what YOU love about teaching yoga. Through journaling and discussion, you will discover new ways of sharing your love of yoga to others. It will give you the space to flourish in your uniqueness as a person and a yoga teacher. By working within the framework of power vinyasa yoga, your individual teaching approach will evolve, spark, and inspire! During the week, you will have multiple opportunities to teach to the entire training group. In a safe environment, you will receive constructive feedback to allow your strengths to become stronger as the week progresses. By the end of the week, your teaching will have transformed into amazing power! Giving and receiving feedback: learn to work with your strengths and move past limitations. If we don’t change, we don’t grow. If we don’t grow, we aren’t really living. As teachers, it’s our responsibility to keep growing. Get ready to create change. After this week, your yoga classes will never be the same! Karen infuses her joyful, high-energy classes with her belief that we can best serve others and heal ourselves through this dynamic and transforming yoga practice. Karen is a highly experienced teacher and and has led workshops and teacher trainings for over 20 years around the world. Karen was inspired to teach power vinyasa from her first teacher, Baron Baptiste. She has trained extensively with Baron and is a Certified Baptiste Yoga Teacher and is an Accredited Yoga Alliance Teacher Trainer. Sean has been teaching yoga for over 16 years and first discovered it after a four-year stint in the NFL after he suffered an injury. Sean began practicing power flow yoga due to back and hip injuries caused from overuse and overtraining. He has found yoga to be healing in many ways and not just physical. “The mental peace that yoga offered was unexpected, but it was the driver to continue and eventually take up teaching.” Sean began his training with Karen in their living room, then took up more formal trainings with multiple teachers, including Baron Baptiste and other talented vinyasa yoga teachers. Sean is an Accredited Yoga Alliance Teacher Trainer. $2645 Beach Front DOUBLE - shared with one other. $2465 Ocean View DOUBLE – shared with one other. $2265 Garden View DOUBLE – shared with one other. $2119 Garden View TRIPLE - shared with two others. Air: Arrive/Depart Cancun (CUN) Airport. 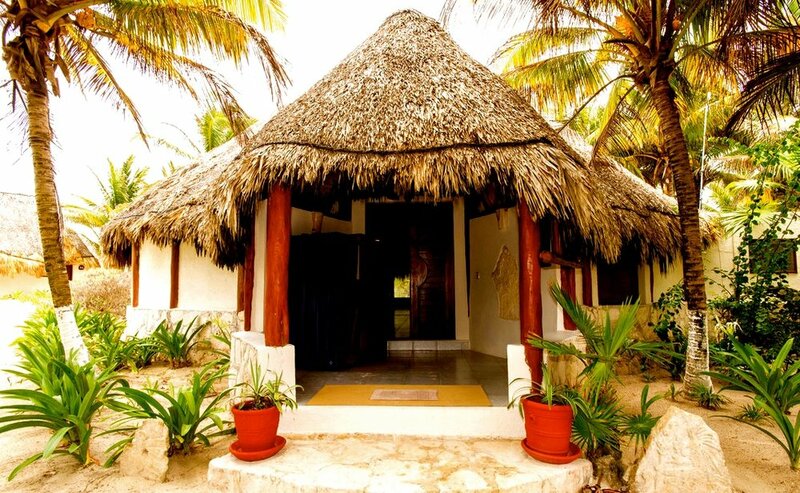 Maya Tulum Resort will arrange for your transportation to and from the Cancun Airport by a reputable and trusted driver. Schedule your arrival into CUN Airport on the start date of the training. Schedule your departure for any time on the last day. A $300 DEPOSIT (APPLIED TOWARDS TUITION) SECURES YOUR SPOT TODAY! Email programs@amazingyoga.net to reserve a spot.